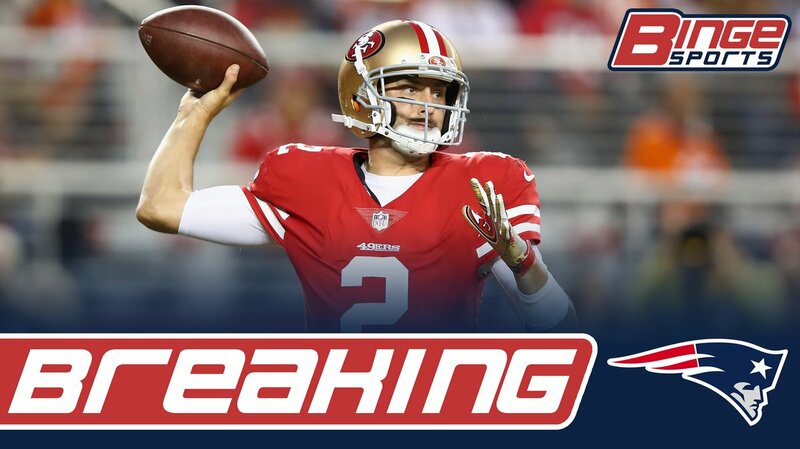 Patriots reached agreement with former 49ers QB Brian Hoyer on a three-year contract, per source. HOYER THE DESTROYER IS BACK! SUPER BOWL BACK ON!!! Obviously going from a backup Quarterback situation of Jimmy Garoppolo to Brian Hoyer is a downgrade, but at least we still have a guy that knows the system and has proven in his career that if needed, can win you a football game. I thought they were going to give him a 2 year deal, but they ended up throwing an extra year on there. It doesn’t really matter because this is most likely a contract they can get out of if they find someone else. However, this also gives them the flexibility that they do not have to invest in a Quarterback in this years draft if they do not find a guy that they like. Signing Hoyer was the no brainer move after trading Jimmy. And while it is nice to have a guy who can play in the league as your backup, let’s all hope we never have actually to see him play. Welcome back Brian, I guess.